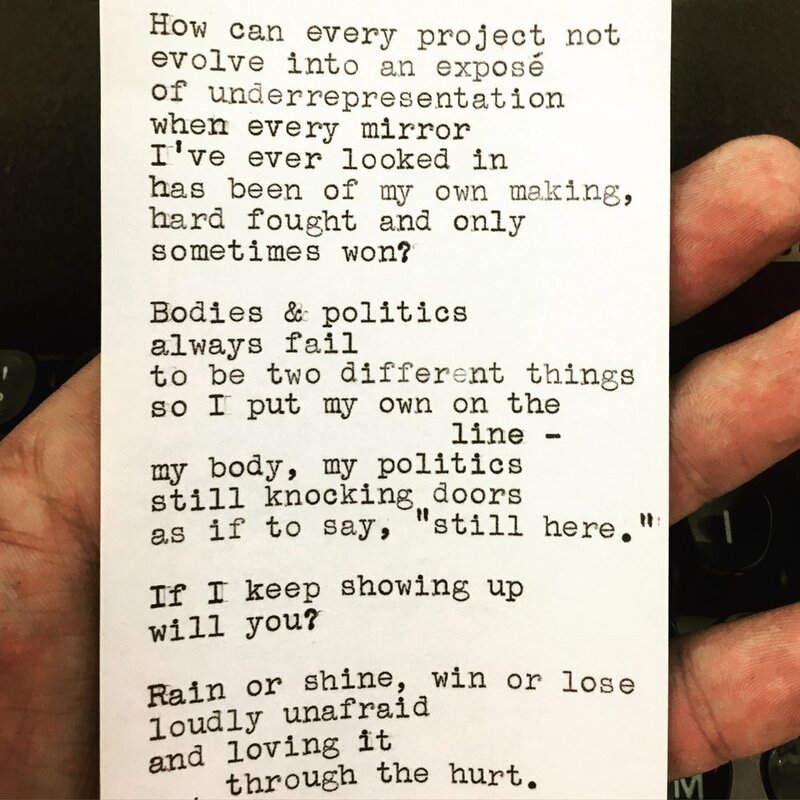 This poem was written as the Poet-in-Residence for a political candidate’s campaign in Tennessee. The poem was for a Poly Sci student named Mallory at the campaign’s election watch party during the 2018 primary. She had volunteered for this candidate and was watching the results of voting coming in with mixed optimism and apprehension. Mallory said every project she worked on at school ended up being about underrepresentation, even when she didn’t have that intension to start out. Her topic for this poem was “women in office.” It was only after receiving her poem that Mallory found out her candidate had lost the primary - and that her work was far from over. Welcome to the MPB family!